This simple, healthy Baked Salmon dish is made with fresh lemon, and lots of fresh herbs such as dill, parsley, chives. 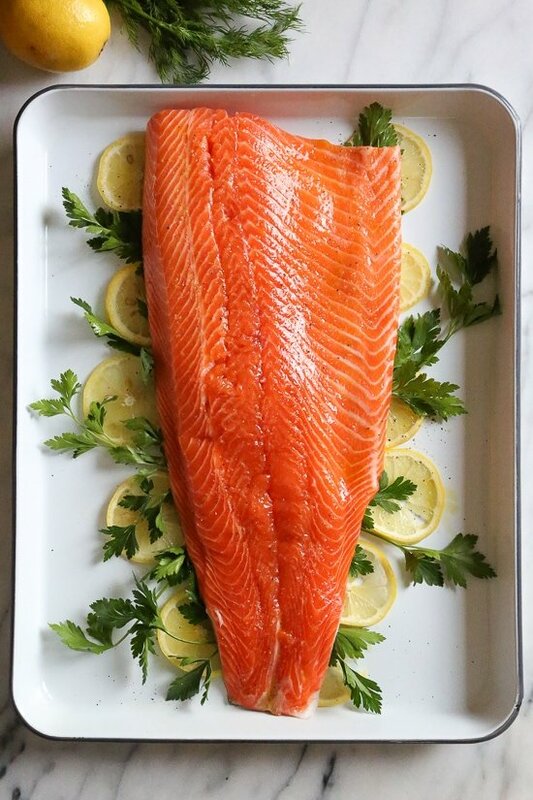 Salmon is one of my favorite fish, and nothing is quicker and easier than roasting a side of salmon in the oven. I slice some lemons and add a few sprigs of herbs such as parsley or chives, then lay the salmon on top, skin side down.